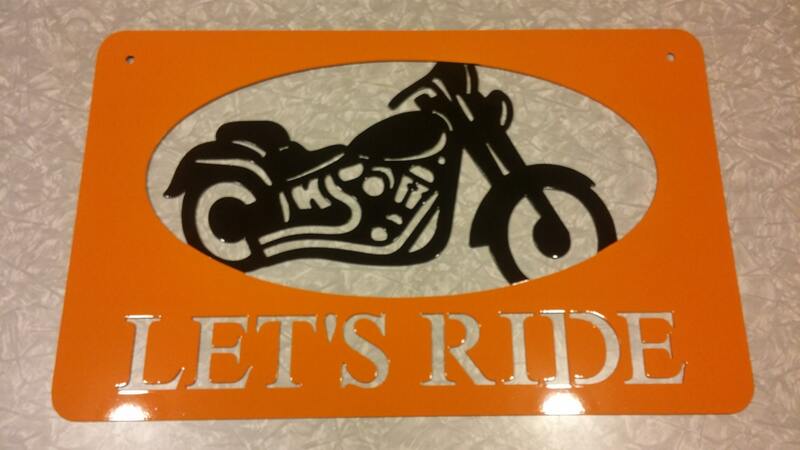 Motorcycle metal sign: "LET'S RIDE" perfect for the shop, the garage or the man-cave! 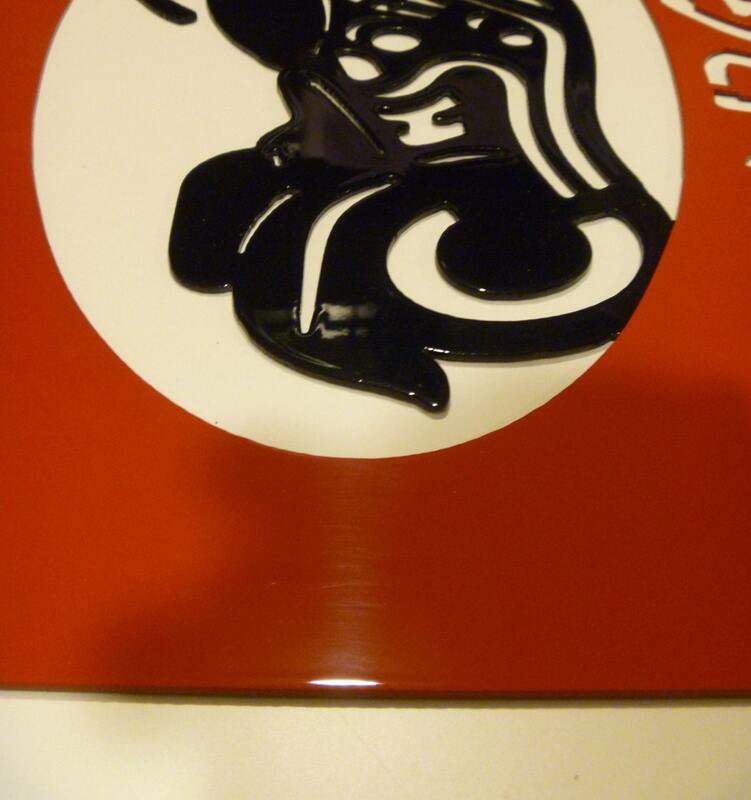 Painted with automotive quality paint or coated in durable powder coat. All options will last a lifetime indoors or out! 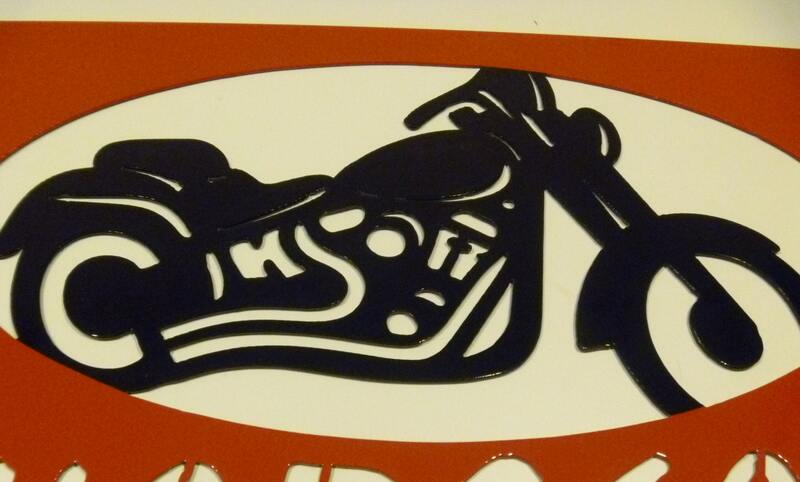 The motorcycle sign is cut from steel about as thick as a nickel, so it's very sturdy. Choose from a variety of colors or a black bike with orange or red outline. 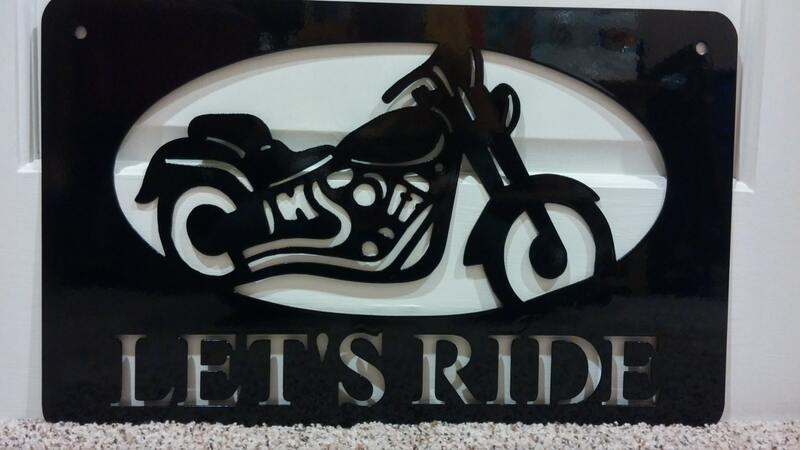 Ask us about how to customize this sign!